ET Intelligence Group: Neogen Chemicals, a manufacturer of specialty chemicals, plans to raise Rs 132 crore through an initial public offering (IPO). The primary offer comprises an offer for sale of existing shares as well as issue of new shares. The IPO proceeds will be used for debt reduction and redemption of preference shares. Given its presence in the lithiumbased chemicals used in batteries for electric vehicles, the company’s revenue potential is high. The IPO appears to be richly valued when compared with listed peers. Long-term investors may wait for more reasonable valuation in the secondary market after the company provides sufficient track record of better earnings growth. Mumbai-based Neogen Chemicals manufactures bromine and lithiumbased chemicals. The pharma sector is a major demand driver with 82 per cent contribution to revenues. The other user sectors are agro-chemicals, engineering, speciality polymers and electronics. Its clients include Austin Chemical, CBC, Divi’s Lab, Laurus Lab, Solvay, Thermax and Voltas. The company manufactures 1.30 lakh litres reactor volume of bromine-based chemicals and 12 lakh kg of lithium-based chemicals. Revenues from domestic and export markets was in equal proportion in the nine months of FY19. Total revenue rose by 20 per cent to Rs 164 crore and net profit increased by 31 per cent to Rs 10.4 crore in the past four fiscals to FY18 on annual basis. Operating profit grew by 26 per cent to Rs 29.6 crore during the period. In the first nine months of FY19, revenues touched Rs 159.6 crore and net profit Rs 12.2 crore. Given the lack of lithium mines in India, the company is dependent on imports, exposing it to risks of supply disruption and currency fluctuations. Inventory levels are elevated with a turnover at 110 days for the past two fiscal years. Neogen Corporation, a USlisted firm producing animal and food safety products, has filed an intellectual property suit for using the brand ‘Neogen’. At Rs 215 per share, the company demands price-earnings multiple of 26.5 and 30.7 times annualised earnings based on pre- and post-IPO capital respectively. The average P/E of peers Aarti Industries, Atul Ltd, Vinati Organics, Navin Fluorine, and Paushak based on trailing earnings was 26.5, as per Capitaline data. Neogen’s operating margin and scale of operations are lower than some of the peers, which makes the IPO expensive. In the long-term, growth will hinge on success in supplying e-vehicle battery makers. HONG KONG (Reuters) – China’s largest live-streaming platform DouYu International Holdings Limited, backed by social media and gaming giant Tencent Holdings Ltd, has filed for a U.S. initial public offering (IPO) of up to $500 million. The rapid growth of the live-streaming sector has seen China’s tech heavyweights – Tencent, Alibaba Group Holding and Baidu Inc – open their wallets to back a slew of firms in the hope it can boost existing services in e-commerce, social networking and gaming. DouYu has exclusive streaming rights to 29 major tournaments in China, including League of Legends, PlayerUnknown’s Battlegrounds, and DOTA2, according to the draft prospectus which was uploaded to the U.S. Securities and Exchange Commission website overnight on Monday. DouYu was the largest game-streaming platform by average total monthly active users (MAUs) on both mobile and PC during the fourth quarter of 2018, according to the prospectus. The company had 159.2 million MAUs in the first quarter of 2019, representing year-on-year growth of 25.7 percent. It set a placeholder sum of $500 million for the IPO, which is used to calculate registration fees. The final IPO size could be different, though sources have previously told Reuters DouYu was looking to raise around $500 million. DouYu’s IPO could be one of the largest this year by a Chinese company in the United States, together with that of Starbucks challenger Luckin Coffee which also filed overnight. Chinese companies have raised $271 million through U.S. IPOs so far this year, with the biggest deal being that of Ruhnn Holding Limited which raised $125 million, Refinitiv data showed. China is the world’s largest game streaming market, with approximately 4.9 times the monthly active users of the U.S. market in 2018, the prospectus said. DouYu’s active users spent an average of 54 minutes per day on the platform in the fourth quarter of 2018. DouYu is still loss-making and reported a net loss of $127.4 million in 2018, up from $91.33 million in 2017. Revenues jumped 94 percent to $531.5 million last year. The company significantly increased its sales and marketing expenses – which jumped 73 percent in 2018 – as well as its research and development expenses which increased 55 percent. Most of DouYu’s revenues come from live-streaming through the sale of virtual gifts, accounting for 86.1 percent of its revenues, with the rest coming from advertisements and some revenue sharing with game developers and publishers, the prospectus showed. Bank of America Merrill Lynch, JPMorgan and Morgan Stanley are the underwriters for DouYu’s IPO. Plus-sized women’s apparel retailer Torrid Inc. pulled its plans for an initial public offering late Friday, according to a filing with the Securities and Exchange Commission. Torrid, which filed for an IPO in July 2017, had planned to raise up to $100 million and list on the New York Stock Exchange. “The company believes that the withdrawal of the registration statement would be consistent with the public interest and the protection of investors,” Torrid said in its Friday filing. The retailer was spun off in 2015 from Hot Topic, which was taken private by Sycamore Partners back in 2013. Zoom Video Communications, Inc., a San Jose, Calif.-based provider of a video confering company, priced its initial public offering of 20,869,565 shares of Class A common stock at a price to the public of $36.00 per share. 9,911,434 of the shares are being offered by Zoom and 10,958,131 of the shares are being offered by certain selling stockholders. Zoom will not receive any proceeds from the sale of shares by the selling stockholders. The shares began trading on The Nasdaq Global Select Market under the symbol “ZM” on April 18, 2019, and the offering is expected to close on April 23, 2019, subject to customary closing conditions. In addition, Zoom has granted the underwriters a 30-day option to purchase up to 3,130,435 additional shares of Class A common stock at the initial public offering price less underwriting discounts and commissions. Morgan Stanley, J.P. Morgan, Goldman Sachs & Co. LLC, and Credit Suisse are acting as lead book-running managers for the offering. BofA Merrill Lynch, RBC Capital Markets, and Wells Fargo Securities are acting as book-running managers, and JMP Securities, KeyBanc Capital Markets, Piper Jaffray, Stifel, and William Blair are co-managers for the offering. Zoom provides businesses and organizations with a cloud platform for video, voice, content sharing, and chat running across mobile devices, desktops, telephones, and room systems. KCI Holdings, an affiliate of Acelity, filed paperwork Thursday morning with the US Securities and Exchange Commission that proposes to list its shares on the New York Stock Exchange. The San Antonio-based company said it planned to use any funds raised in the planned offering to pay down debt, specifically $590 million in high-priority debt. The company has almost $2.38 billion in debt, according to a regulatory filing. Acelity sells wound-healing devices, such as pumps that use vacuum pressure to help heal ulcers and other hard-to-treat wounds. It canceled plans for an IPO in December 2016, in which Acelity anticipated raising $1 billion from investors, because of market conditions. Later that month, it sold its LifeCell business unit to Dublin-based biopharmaceutical company Allergan for $2.9 billion. LifeCell was Acelity’s regenerative medicine division, and selling it was part of an attempt to focus its business on its core wound-healing devices. That and other divestitures have helped make the business more competitive, as did its move to hire Andrew Eckert as its new CEO in 2017 and its launch of 42 products since 2015, the company says in the regulatory filing. Acelity was founded in 1976, and was known as Kinetic Concepts until 2014. The company has been taken public twice previously, once it 1988 and a second time in 2004. (It was taken private in 1997, according to the San Antonio Express-News.) In 2011, the business was acquired by the private equity consortium for $6.3 billion led by Apax Partners. The group also included Canada Pension Plan Investment Board, and Public Sector Pension Investment Board. Those firms will continue to “own a majority of the shares eligible to vote in the election of our directors,” according to the filing. After a restructuring, KCI will become the holding company of Acelity and its subsidiaries, according to a news release. Sonim Technologies (SONM) has filed to raise gross proceeds of $57.5 million from a U.S. IPO, according to an S-1 registration statement. SONM is growing at a much faster rate than the industry and has posted a number of impressive financial metrics. San Mateo, California-based Sonim was founded in 1999 as NaviSpin.com to manufacture and market ruggedized Android-based mobile phones and accessories designed for the industrial enterprise and public sectors. Management is headed by CEO and Director Robert Plaschke, who has been with the firm since 2002 was previously Entrepreneur in Residence at venture capital firm Sutter Hill Ventures. Sonim’s offerings include rugged mobile phones that can connect to both public and private wireless networks, industrial-grade accessories, as well as cloud-based software and application services. The company’s technology combines the functionality of single-purpose electronic devices, such as barcode scanners, location-tracking devices and sensors into one Android-powered device with access to apps on the Google Play Store. Some of the company’s main end consumers are typically in the construction, hospitality, energy and utility, logistics, and manufacturing sectors. The company has developed and integrated dozens of application programming interfaces [APIs] specific for its phones and has partnered with over 800 app developers to create a purpose-built experience. Management states that as of January 2019, Sonim was the only private mobile phone company to have a stocked ruggedized product with three of the four largest U.S. wireless carriers – AT&T (NYSE:T), Sprint (NYSE:S), and Verizon (NYSE:VZ). Investors in Sonim Technologies included B. Riley Financial, Azini Capital Partners, Apax Partners, e.ventures, 3i Group, Accel, and SIAR Capital, among others. The company primarily markets its products through AT&T, Sprint, and Verizon in the US as well as Bell, Rogers (NYSE:RCI), and Telus Mobility (TL) in Canada. The sales efficiency rate, defined as how many dollars of additional gross profit are generated by each dollar of sales & marketing spend, was a very strong 2.8x in the most recent year. 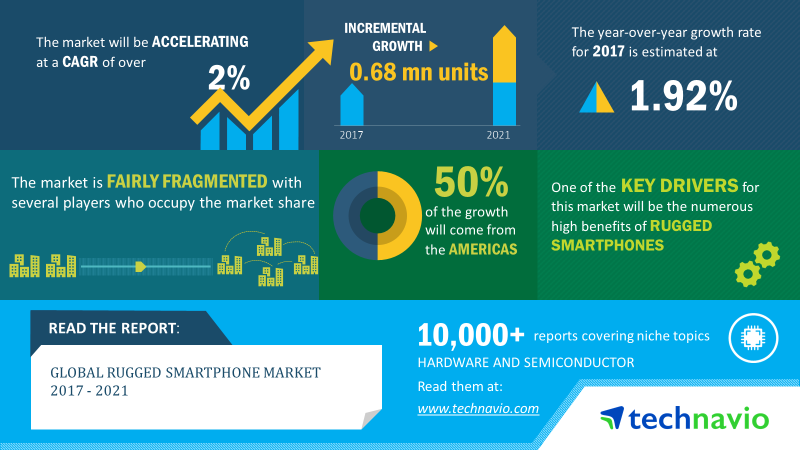 According to a 2017 market research report by Technavio, the global rugged smartphone market is projected to grow at a CAGR of 2% between 2017 and 2021 with a year-over-year increase of 1.92% for 2017. The number of devices sold annually is projected to grow by 0.68 million units by 2021. The main factor driving market growth is the growing need for mobile devices that can withstand accidental drops and other extreme conditions. The company’s offerings combine multiple single-use device functions into one Android-powered rugged mobile phone that gives the end user many applications to choose from. As of December 31, 2018, the company had $13 million in cash and $62.2 million in total liabilities. Free cash flow during the twelve months ended December 31, 2018, was $3.1 million. SONM intends to raise $57.5 million in gross proceeds from an IPO of its common stock, not including customary underwriter options. We intend to use the net proceeds of this offering for general corporate purposes, including working capital, expanded sales and marketing activities, increased research and development expenditures and funding our growth strategies. We may use a portion of the net proceeds to prepay principal amounts outstanding and deferred accrued interest under the B. Riley Convertible Note (including a prepayment penalty of up to 2.0% of the outstanding principal amount prepaid, which fee is waived if the total outstanding principal amount following prepayment does not fall below $10.0 million). The B. Riley Convertible Note has an interest rate of 10.0% per year, matures on September 1, 2022, and had an outstanding principal balance, including deferred accrued interest, of $13.0 million as of December 31, 2018. Management’s presentation of the company roadshow is not currently available. Listed underwriters of the IPO are Oppenheimer & Co., Lake Street, and National Securities Corporation. San Francisco, CA – April 18, 2019 (Investorideas.com Newswire) Zoom Video Communications, Inc. ( NASDAQ: ZM ) announced the pricing of its initial public offering of 20,869,565 shares of Class A common stock at a price to the public of $36.00 per share. 9,911,434 of the shares are being offered by Zoom and 10,958,131 of the shares are being offered by certain selling stockholders. 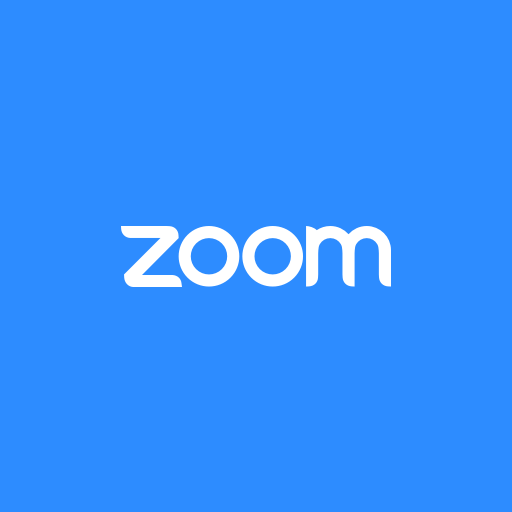 Zoom will not receive any proceeds from the sale of shares by the selling stockholders. The shares began trading on The Nasdaq Global Select Market under the symbol “ZM” on April 18, 2019, and the offering is expected to close on April 23, 2019, subject to customary closing conditions. In addition, Zoom has granted the underwriters a 30-day option to purchase up to 3,130,435 additional shares of Class A common stock at the initial public offering price less underwriting discounts and commissions. The offering is being made only by means of a prospectus. Copies of the final prospectus, when available, may be obtained from: Morgan Stanley & Co. LLC, Attention: Prospectus Department, 180 Varick Street, 2nd Floor, New York, NY 10014; J.P. Morgan Securities LLC, c/o Broadridge Financial Solutions, 1155 Long Island Avenue, Edgewood, NY 11717, by telephone at 866-803-9204, or by email at ; Goldman Sachs & Co. LLC, Attention: Prospectus Department, 200 West Street, New York, NY 10282, by telephone at 1-866-471-2526, or by e-mail at ; and Credit Suisse Securities (USA) LLC, Attention: Prospectus Department, Eleven Madison Avenue, 3rd floor, New York, NY 10010, by telephone at (800) 221-1037, or by email at . Zoom helps businesses and organizations bring their teams together in a frictionless environment to get more done. Our easy, reliable cloud platform for video, voice, content sharing, and chat runs across mobile devices, desktops, telephones, and room systems. Zoom is headquartered in San Jose, California. Additional info regarding BC Residents and global Investors: Effective September 15 2008 – all BC investors should review all OTC and Pink sheet listed companies for adherence in new disclosure filings and filing appropriate documents with Sedar. Read for more info: https://www.bcsc.bc.ca/release.aspx?id=6894 . Global investors must adhere to regulations of each country. (MENAFN – Gulf Times) Pinterest Inc’s message to investors was don’t compare us to social media or a search engine. The outcome Wednesday was that it raised about $1.4bn in an above-range initial public offering. Pinterest operates in a crowded digital marketing space, where Google and Facebook Inc get the lion’s share of ad dollars, and a smattering of smaller platforms like Twitter Inc and Snap Inc get the rest. The San Francisco-based company, which serves as a sort of digital bulletin board for pictures and ideas for furniture, fashion, weddings, recipes and more, has a direct line to millions of people who are looking for specific things to buy. That may give it an edge in making money from its user base compared with some of its peers. Chief executive officer Ben Silbermann likes to project a more virtuistic, less competitive vision of Pinterest, but investors will still be scrutinising its advertising model. There are a lot of options to place bets on hot technology companies: Ride-hailing company Lyft Inc made its debut this month and Uber Technologies Inc is likely to list its shares in May. Videoconferencing company Zoom Video Communications Inc raised $751mn in its IPO Wednesday and will begin trading Thursday along with Pinterest. Other high-profile companies considering going public include Slack Technologies Inc, Postmates Inc, Palantir Technologies Inc and Airbnb Inc.
Pinterest sold 75mn shares Wednesday for $19 each, after marketing them for $15 to $17, according to a statement. Based on the number of Class A and B shares outstanding after the offer, as detailed in a regulatory filing, Pinterest’s IPO price would value it at about $10.1bn. Including restricted stock and options, the IPO values the San Francisco-based company at about $12.7bn, said a person familiar with the matter who asked not to be identified because those details weren’t public. Pinterest’s last valuation, from a private funding round in 2017, was $12.3bn. The offering was led by Goldman Sachs Group Inc, JPMorgan Chase & Coand Allen & Co Pinterest will trade on the New York Stock Exchange under the symbol PINS. The listing is the second biggest in the US so far this year, after Lyft’s $2.34bn IPO and ahead of Tradeweb Markets Inc’s $1.24bn offer. Uber will seek to raise about $10bn in an offering valuing it at about $100bn, people familiar with its plans have said. Zoom, which boosted its share price to $36 from an already elevated range of $33 to $35, is a rare example of a profitable tech startup launching a public listing. The listing values the company at more than $9bn. Despite Pinterest’s efforts to distance itself from the label of a ‘social media company, analysts say it can be a useful benchmark for valuation. According to James Cordwell, an analyst at Atlantic Equities, Pinterest is worth as much as Snap, about $16bn, and could be much more. ‘The ability to monetise that audience is much higher, Cordwell said of Pinterest before the pricing. ‘When you’re at Snap you’re in the business of communicating with friends or wasting time; when you’re going to Pinterest there’s high purchasing intent: you’re planning something, looking for a product. That’s exactly what advertisers are looking for. Pinterest calls itself a ‘visual discovery platform for people to get ideas for different aspects of their lives, whether that’s curating a wardrobe, planning a vacation or wedding, or furnishing a new home. It’s not like Google either. Silbermann said Pinterest users often don’t have exact words to describe what they’re searching for. For instance, if someone is looking for inspiration for home design, they may not know what to type into Google, but if they were to see images proposed to them in Pinterest, they’d be able to identify what they liked, and ‘pin’ it to their online board of ideas. Pinterest said in its IPO filing that it reaches more than 250mn monthly active users, two-thirds of whom are female. That includes 43% of Internet users in the US and 8 out of 10 moms. Pinterest highlights that statistic as an advantage over other platforms, given that mothers are ‘primary decision-makers when it comes to buying products and services for their household. Ali Mogharabi, an analyst at Morningstar Research, said Pinterest has opportunities to increase its share of the $500bn global digital advertising market. ‘While we don’t expect Pinterest to displace online advertising behemoths Google and Facebook or up-and-coming Amazon, we do expect it to attract a small pinch of digital ad spending, he said. Mogharabi said he expects a 35% compound annual growth rate for Pinterest through 2023, partly driven by the digital advertising market. In a dig to social media services, Pinterest made it clear in its video to investors that ads are a tax to the user on social media. Even if the item is relevant, people aren’t interested in seeing an ad for a pair of shoes they may have looked at casually a while back when they were trying to talk to their friends. ‘Pinterest should have among the most valuable ad impressions, second only to the Google search ad, said Andrew Lipsman, an analyst at EMarketer. One of the primary criticisms of Pinterest is that the majority of its user growth is coming from international markets, where the average revenue per user is much lower than in the US In 2018, more than 80% of new users were from outside the US, however, they generated about 25 cents per person compared with $9.04 for those based in the US. On the other hand, Pinterest may benefit from the heightened global scrutiny of Facebook, Google’s YouTube and Twitter as those platforms struggle to remove hate speech, violent content and misinformation from their services. ‘Pinterest is one of the few friendly corners of the Internet, he said. AUSTIN, Texas — Brigham Minerals, Inc. (NYSE: MNRL) (“Brigham Minerals”) announced today the pricing of its upsized initial public offering of 14,500,000 shares of its Class A common stock (“common stock”) at $18.00 per share. The shares are expected to begin trading on the New York Stock Exchange under the ticker symbol “MNRL” on April 18, 2019. In addition, Brigham Minerals granted the underwriters a 30-day option to purchase up to an additional 2,175,000 shares of its common stock. The offering is expected to close on April 23, 2019, subject to customary closing conditions. Brigham Minerals intends to contribute the total net proceeds of approximately $240.6 million, or $277.4 million if the underwriters exercise in full their option to purchase additional shares, to its subsidiary, Brigham Minerals Holdings, LLC (“Brigham LLC”) in exchange for limited liability company units in Brigham LLC. Brigham LLC intends to use a portion of the net proceeds to repay borrowings incurred under its credit facility and the remainder to fund Brigham Minerals’ future mineral and royalty interests acquisitions. Brigham Minerals is an Austin, TX based company that acquires and actively manages a portfolio of mineral and royalty interests in the core of some of the most active, highly economic, liquids-rich resource basins across the continental United States, including the Permian Basin in Texas and New Mexico, the SCOOP and STACK plays in the Anadarko Basin of Oklahoma, the Denver-Julesburg (“DJ”) Basin in Colorado and Wyoming, and the Williston Basin in North Dakota. Brigham Minerals’ primary business objective is to maximize risk-adjusted total return to its shareholders by both capturing organic growth in free cash flow from the continued development of its existing portfolio of undeveloped horizontal drilling locations unburdened by development capital expenditures or lease operating expenses, as well as leveraging its highly experienced technical evaluation team to continue to execute upon its scalable business model of sourcing, methodically evaluating and integrating accretive minerals acquisitions in the core of these top-tier, liquids-rich resource plays. A registration statement relating to these securities has been filed with, and declared effective by, the Securities and Exchange Commission (the “SEC”). The registration statement may be obtained free of charge at the SEC’s website at www.sec.gov under “Brigham Minerals, Inc.” This press release shall not constitute an offer to sell or the solicitation of an offer to buy, nor shall there be any sale of these securities in any state or jurisdiction in which such offer, solicitation or sale would be unlawful prior to the registration or qualification under the securities laws of any such state or jurisdiction. Certain statements contained in this press release constitute “forward-looking statements” within the meaning of the Private Securities Litigation Reform Act of 1995. These forward-looking statements, including statements regarding the closing of the initial public offering and Brigham Minerals’ use of proceeds from the offering, represent Brigham Minerals’ expectations or beliefs concerning future events, and it is possible that the results described in this press release will not be achieved. These forward-looking statements are subject to risks, uncertainties and other factors, many of which are outside of Brigham Minerals’ control, that could cause actual results to differ materially from the results discussed in the forward-looking statements. Any forward-looking statement speaks only as of the date on which it is made, and, except as required by law, Brigham Minerals does not undertake any obligation to update or revise any forward-looking statement, whether as a result of new information, future events or otherwise. New factors emerge from time to time, and it is not possible for Brigham Minerals to predict all such factors. When considering these forward-looking statements, you should keep in mind the risk factors and other cautionary statements in the prospectus filed with the SEC in connection with Brigham Minerals’ initial public offering. The risk factors and other factors noted in Brigham Minerals’ prospectus could cause its actual results to differ materially from those contained in any forward-looking statement.